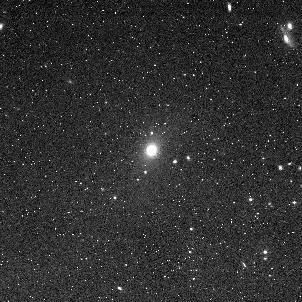 Compare M87 and its neighborhood in the Virgo Cluster of galaxies as it appears in the visible and in the X-ray part of the spectrum. The material in this cloud is extremely hot, with a temperature of 10-100 million degrees, i.e. at least as hot as the hydrogen burning cores of sun-like stars. Of course, it is of extreme low density, though. The X-ray emitting part of the cloud extends over a volume about 1 million light years across; the cloud itself may fill the whole Virgo cluster. 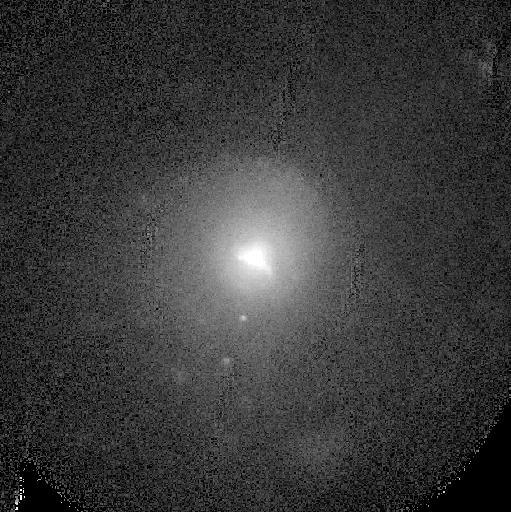 Note the suggested elongated shape of the faint outskirts of M87, contrasting to the round, bright inner region of this giant galaxy. This effect is even more evident in deep images of M87.